It has come the time to launch our first Deal of the Week Competition! Now we have the new website and new products, we thought it would be nice to share our excitement by offering you the chance to win a Tshirt! 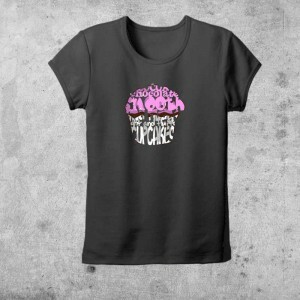 So, we are offering one of our Cupcake Tshirt. So if you fancy winning one for you, your mum, sister, daughter or friend follow the below instructions to enter. Terms: Competition ends 1st March 2013 at 6pm GMT, judges decision is final. *Update: Our winner is…..Anna Tomlinson, congratulations!! !